My heart was so full and rejoiced deeply on 12 Aug 2018 (Sun) for the baptism of two very dear brother and sister in Christ, Tim and Ruth. The Lord gave me the privilege to journey with them for the past months and it was such an encouragement. My pastor tasked me to deliver a short messge for their baptism. The message is titled Sealed and Guaranteed. Water is used for washing and to make clean. Water baptism is more than just a public declaration. It is also a symbolic act of our old self being washed away by the water and emerge as a new person. All the past regrets, shame, pain, loses, victories and achievements, are taken away, far away from us. This is the time to start anew, afresh. A second chance whereby a clear line is drawn. I am so thankful that God uses the physical elements to help us understand and internalise spiritual truths that might be too abstract at times for us. Baptism is the beginning of our jouney and the end is when our physical body is laid to rest or when Christ comes back, whichever is earlier. Therein lies the challenge of finishing this journey. This is a long marathon and not just a 100m sprint, which we do not know the distance nor the duration of our individual journey. The beautiful part of it is that we are not alone in this journey, sealed with the Holy Spirit. We are SEALED and GUARANTEED in Christ until He comes back! Let’s go a little deeper to understand what it means to be sealed by the Holy Spirit of God. We will look at the instances whereby the concept of seal is used in the Bible to gain insights to the function of a seal. Locking something within. E.g. how the tomb of Jesus was sealed (Matthew 27:66). This is to keep something precious seperated from the outside within so that there is no access from outside. Each believer’s whole being, spirit, soul and body is “wrapped” by the Holy Spirit to be seperated from the world. Holiness is defined as being separated from the world. The role of the Holy Spirit is to keep us pure and holy, untainted by the world, till Christ comes back for us. Sign of Authenticity. E.g. circumcision is a seal of righteousness of Abraham (Romans 4:11). Hologram seals for many products, like medication, supplements and even some IT products indicate its authenticity from the original manufacturer or brand. This is to help people identify the genuine products and differentiate from the imitations. The Holy Spirit within a believer marks the authenticity that the believer is of God. Identification and protection. E.g. Seal of God in the forehead of God’s servants as protection (Revelation 7:3-4). As long as the seal remains intact on a product, we know that they are new and not tampered with. A buyer will safely take the products whose seals are intact and those with broken seals are left to be trashed or heavily discounted for quick clearance. The same for Jesus. He has already paid for us in full and sealed us so that he can come back for us. The seal will be the identification used to protect us and take us home with Him. Let’s illustrate guarantee through the rental of bicycle at East Coast Park (location where the baptism was held, by the beach). The rental shop requires customers to put in a refundable $200 cash deposit or personal ID as guarantee. The guarantee must be valuable enough for the customer to return their rented bicycles. What does it mean when the Bible says the Holy Spirit is a “guarantee of our inheritance”? God deposited Himself, the Holy Spirit, in us. The Holy Spirit is more than a valuable guarantee for Jesus to return for us as promised? Thus, the Holy Spirit as a seal and guarantee locks in our faith, validates us as true children of God and protects us from judgment/destructive forces that are not meant for us. This implies the completion of our walk and journey with God is only possible by the grace of God. God sets us on the journey with the assurance of completion. He gives us the resources and security for SUCCESS. God makes provisions for our slips, weariness, ignorance, “blur-ness”, idiosyncrasies and weaknesses. The ability to continue to the end is NOT based on our own strength. We take the responsibility of our lives, but we are still not perfected yet. This means we stumble and fall. This means we can still fall short. Jesus states three requirements that is expected of those who wants to follow him, these make up the part that we have to play in this journey. I will start from the middle requirement, which is to take up our cross daily. Carrying the cross is not equivalent to wearing a cross around our neck. Jesus carried the cross for a few hours to Calvary and here he commanded us to carry it for our whole journey. Does it even make sense that since Jesus already carried our sin on the cross that we need to carry our cross for the rest of our lives after accepting Him? 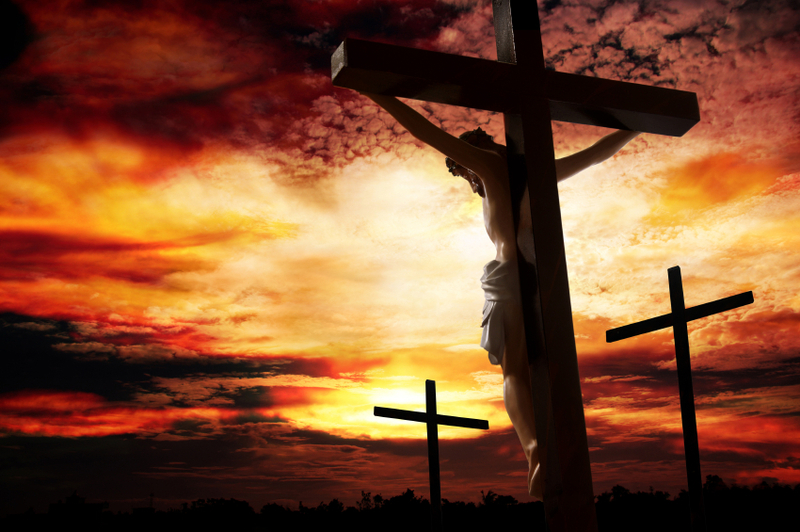 Is the cross that Jesus ask us to carry similar to the cross He carried to Calvary? The cross was a symbol of shame, a punishment that was given to the worst criminals. Jesus’ death changed the cross from a symbol of shame into a symbol of victory after His resurrection. Jesus carried the cross of shame, with our sin on it, to Calvary. The cross Jesus told us to carry is the cross of victory. The cross that Jesus carried was heavy, especially with his beaten body, so heavy that Simon had to help him with it (Matthew 27:32). My next question is, “How heavy is the cross that Jesus calls us to carry?” If the cross represents the victory of Christ, it should carry the weight of Christ’s power. If Christ power overcame sin, it should be weightier and thus heavier. If we are unable to even carry the cross of our own sin without crumbling, how then are we able to carry the cross of Christ’s power? Only God can carry Himself. No one else can. I used the float found at the baptism site to illustrate the cross. We had a “Jesus” who carried the “cross” bent double. The other who represented us had some fun with it and even put it over her waist. What a contrast in how the cross was carried. This leads me back to the first step Jesus instructed. To deny ourselves, which in other words, to die to ourselves. The reason why we need to die to ourselves is so that the Holy Spirit in us can fully come alive to enable us to carry the cross! This journey is not to Calvary but to Jesus. It is not to death but to life. So, our responsiblity is not to carry the cross but to deny ourselves to allow the Holy Spirit to carry the cross. This is a very reasonable demand Jesus made of us, possibly the smallest part to play in this narrative. Is Our Cross Really Neccessary? I find myself asking God if carrying our cross is really necessary since we already have the Holy Spirit. The Holy Spirit can serve to remind us of Jesus’ death and resurrection, lead and guide us. The cross seems a little clumsy in this whole works. I realized the “clumsiness” of the cross is exactly what God is looking for. The cross is a large visible object that everyone can see, more of cannot miss. The Holy Spirit within is not visible to the physical eyes and its existance is proven by its workings within a person and through a person. Therefore, this clumsy cross is the testimony of Christ’s victory at work in our daily lives. The only way to complete this journey is by dying, not just humbling, ourselves. This is the exact same journey Jesus took to obtain victory and glory. To be able to carry the cross daily, we need to die to ourselves. Our victorious completion lies in the cross we carry daily. We can only carry the cross daily when we have the Holy Spirit within us as a seal and guarantee. The ultimate goal is for the GLORY OF GOD as stated in Ephesians 1:14 and we share in it. Not just at the end of the journey, but throughout the journey as we carry our cross of victorious power.